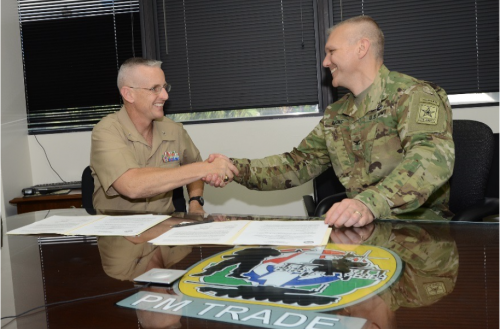 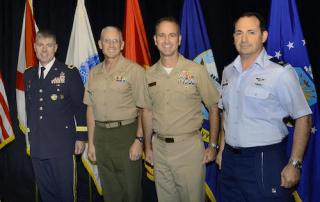 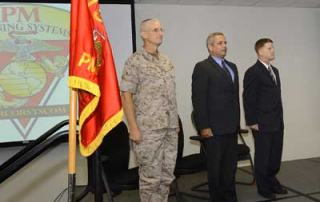 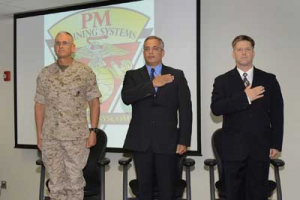 PM TRASYS Program Manager (PM), Col. William (Walt) Yates (left) oversaw the relinquishment of duties from outgoing PdM for ITS, Anthony (Tony) Carbonari (center), to the incoming PdM for ITS, William (Dan) Vorhies. 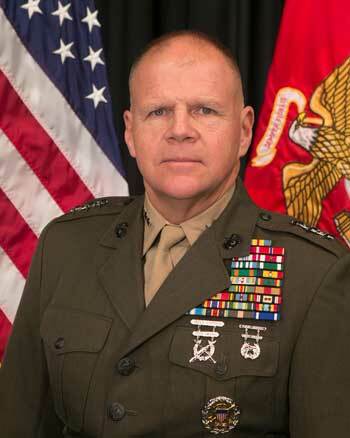 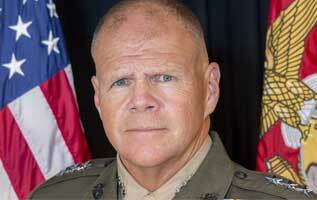 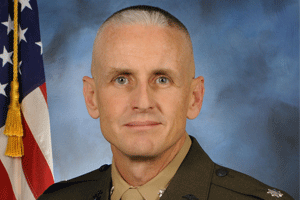 The Marine Corps Commandant, Gen. Robert B. Neller, will be the keynote speaker to kick off their special event at I/ITSEC, “Forging the Future of Marine Corps Training Through Innovation” on Wed., Dec. 2 from 8:30-10 a.m. 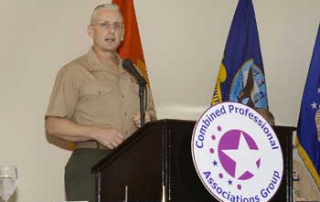 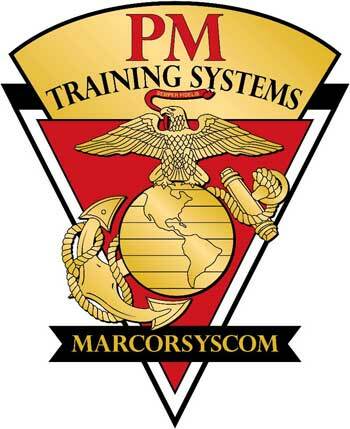 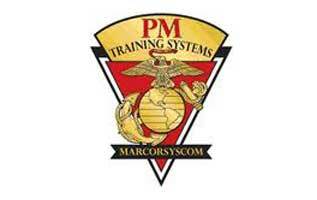 This year, in booth #1533, Program Manager Training Systems (PM TRASYS) will provide graphical displays of its products and services, as well as representative training systems integrated to illustrate how Live, Virtual, and Constructive simulations can provide training to enhance combat readiness. 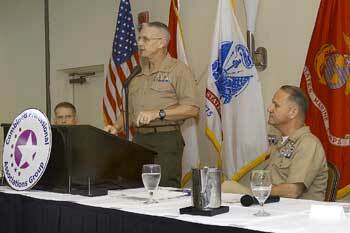 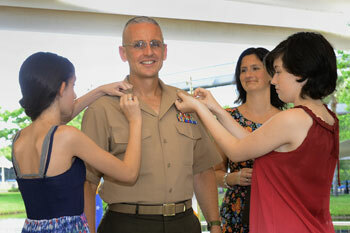 Newly promoted Col. Walt Yates get some VIP attention during the ceremony from his daughters as his wife looks on. 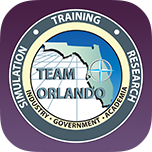 Cyber training, the acquisition workforce and the growing world of live, virtual and constructive simulation dominated a gathering of defense leaders in Orlando. 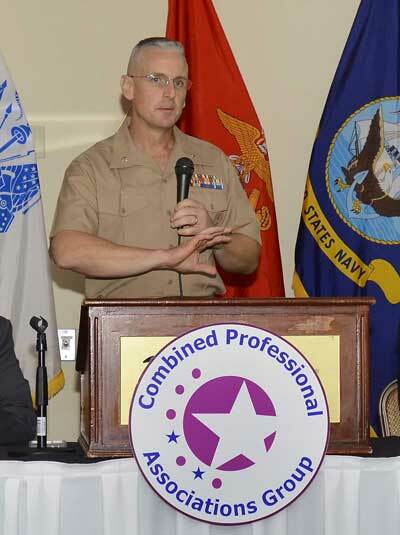 This was especially true for a participant who came back to the city to assume his dream job.